Get ready to book your trip to The Hukilau 2016: Tickets and rooms could be available as early as this week. The latest news also includes details on Hulaween, The Mai-Kai’s annual Halloween party. Also in South Florida, Ohana: Luau by the Sea just wrapped up its first annual gathering. 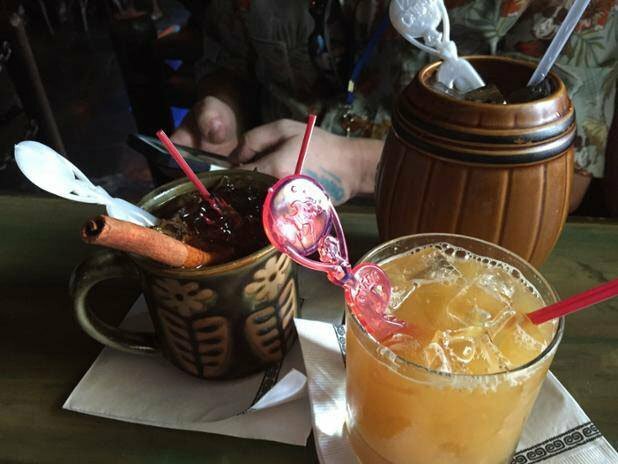 Event previews include Mod-Palm Springs, Mahaloween at Trader Sam’s, and the UK RumFest. We also look back at a memorial for The Pizz, the Tonga Room’s 70th anniversary, Thee Hot Rod Luau in Huntington Beach, Dapper Day and Tiki Day at Disneyland, and Rome Rumfest. Regular features honor the artist of the week, Eekum Bookum; Northeast surf band 9th Wave; Kreepy Tiki Lounge in Fort Lauderdale; and the Cocktail Kingdom website. Cockspur Fine Rum is featured in The Mai-Kai’s Moonkist Coconut. It’s time to gear up and make your plans for The Hukilau’s 15th anniversary event, coming June 8-12 to the historic Hyatt Regency Pier 66 hotel and The Mai-Kai restaurant in Fort Lauderdale. 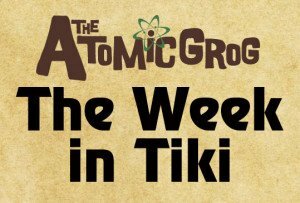 Weekend passes and several special event tickets may go on sale as early as this week, along with special room rates, organizer Christie “Tiki Kiliki” White told The Atomic Grog. 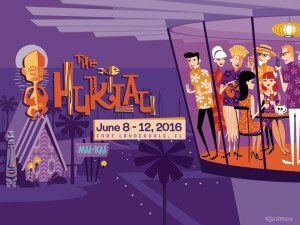 The Hukilau 2016 artwork by Shag. Keep an eye on The Hukilau’s official website and Facebook page for updates. 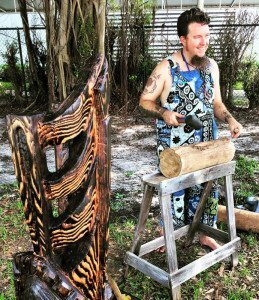 In August, White announced the dates and some details on the East Coast’s oldest and largest Tiki weekender, including special guest Shag. The acclaimed artist will be creating a special 15th anniversary print and designing the event mug, White said, along with hosting several signings of his books and art. But the most anticipated Shag-related activity may be “Shag’s SkyLounge,” an exclusive cocktail party in the 17th floor rotating Pier Top Ballroom at Pier 66. Built in 1965, the space-age tower has already been depicted by Shag in promotional artwork for the 2016 event. “The Pier Top Ballroom will be transformed into a mid-century modern sky lounge,” White said. 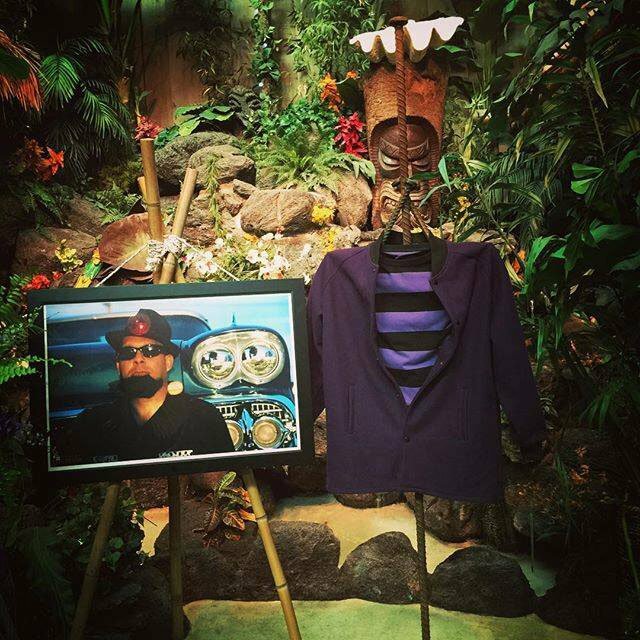 “Guests will have the opportunity to actually be a part of a live Shag painting.” Shag will also be presenting a separate symposium, his first ever at a Tiki event, White said. He plans to talk about his life and times and art, she said. 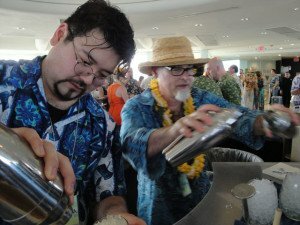 The other signature event in the Pier Top Ballroom will be a reprise of last year’s Tiki Tower Takeover, which brought together four of the country’s top Tiki barmen for an exclusive happy hour event featuring their signature cocktails. 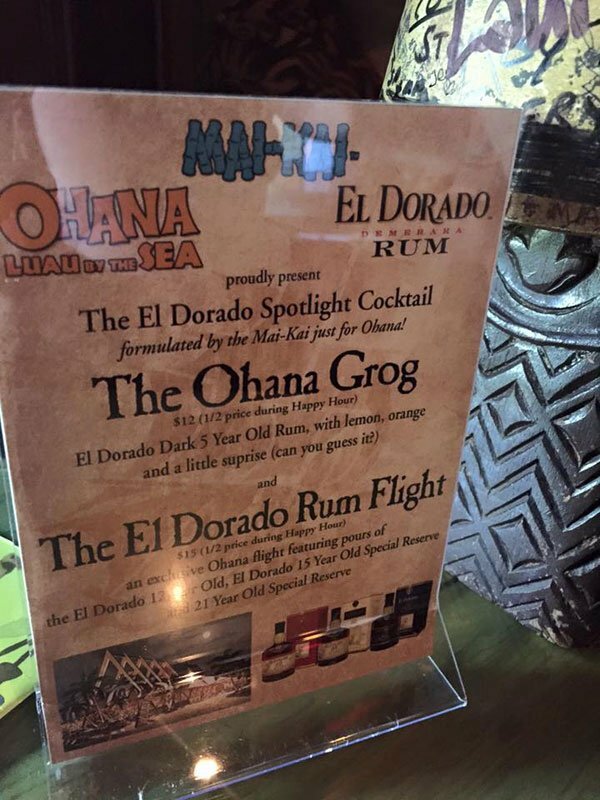 While enjoying spectacular views of Fort Lauderdale, guests were treated to full-sized and fully garnished drinks personally mixed by Jeff “Beachbum” Berry (Latitude 29), Martin Cate (Smuggler’s Cove), Paul McGee (Lost Lake), and Brian Miller (“Tiki Mondays With Miller”. 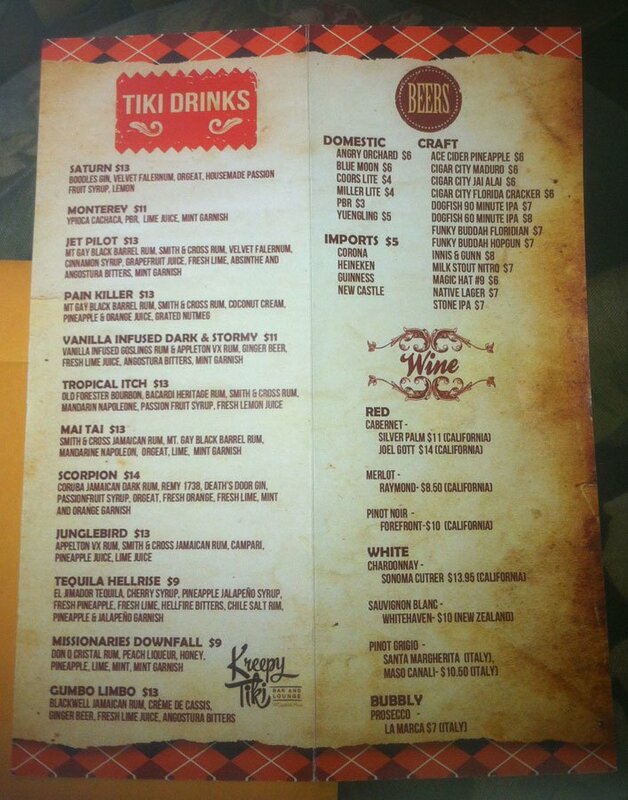 For 2016, Berry is confirmed to return, White said, and he’ll be joined by five more top Tiki cocktail bars from around the world. That expands the lineup of bars (and selection of drinks) from four to six. White said the Tiki Tower Takeover and Shag’s SkyLounge will both take place on Thursday, June 9. The Hukilau’s two host venues, The Mai-Kai and Pier 66, are both celebrating their 60th anniversary in 2016. Multi-day passes will be going on sale in October, possibly this week, White said. Like past years, there will be several different price points depending on the number of days and other benefits. Prices are still being determined, she said. 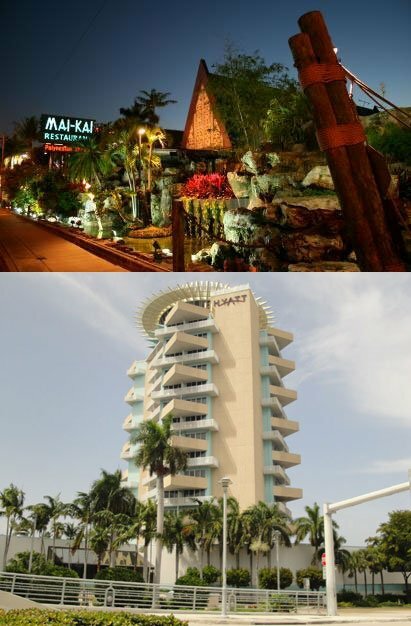 Tickets to the two signature events – Shag’s SkyLounge and the Tiki Tower Takeover – will also be available soon, White said. They may be offered at the same time as the passes, but it’s possible they could go on sale a bit later, she said. The full symposium lineup (including the Shag symposium) will be announced and go on sale in January along with single-day tickets. The entertainment and band lineup will also be announced in January, along with the launch of the full website, White said. In the meantime, keep an eye on The Hukilau’s official sites and The Atomic Grog for updates and sneak previews. Along with passes and tickets, White announced the special hotel room rates at the Hyatt Regency Pier 66 for The Hukilau guests. Info on how to reserve your room will be announced along with the multi-day passes, White said. Prices will be $129 for a marina view, $149 for a tower balcony, and $169 for a tower junior suite. The June event will be noteworthy not only because it will mark The Hukilau’s 15th year. It will also commemorate 60 years since the opening of both Pier 66 and The Mai-Kai, site of The Hukilau since its second event in 2003. This will be the second year at Pier 66. Expect special tributes and events dedicated to both landmark venues along with new features such as poolside parties, DIY Tiki craft projects, a fashion show, and more. 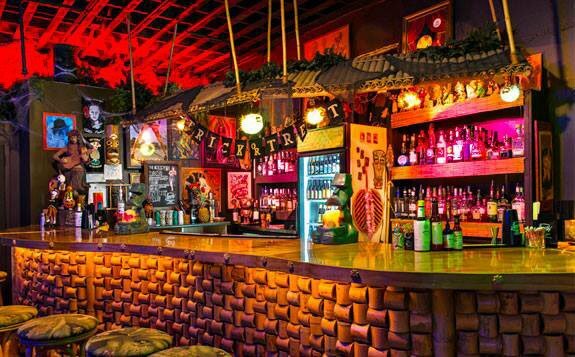 Fort Lauderdale’s iconic Tiki establishment, The Mai-Kai, has announced its seventh annual Halloween party for Friday, Oct. 30. “Hulaween 7 – Night of the Zombie” will feature a costume contest with cash and special prizes, drink specials and Appleton Rum giveaways, plus three sets of classic roots and rockabilly tunes from Slip and the Spinouts. The party takes place in the restaurant’s nautical-themed Molokai bar, kicking off with happy hour from 5 to 7 p.m. with most specialty drinks and classic Polynesian appetizers half-priced. A playlist of retro Halloween tunes will segue into the live music around 7 p.m., with the costume contest taking center stage around 10. The party continues past the witching hour. Look for a full event preview coming soon. The Mai-Kai was recently named the best Tiki bar in the world by Critiki.com users in a tally of the website’s ratings. 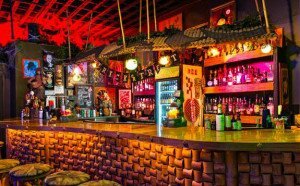 Over more than a decade, the site’s 6,000 members have registered 50,000 ratings of more than 850 Tiki bars, restaurants and hotels around the world on everything from drink quality to decor. The Mai-Kai scores highly in most categories, topping the overall list with a 9.8 rating (out of 10). 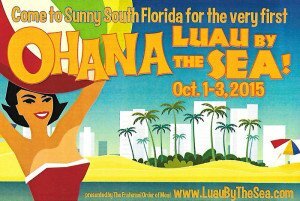 Members, friends and followers of the Fraternal Order Of Moai flocked to Fort Lauderdale for the first ever Ohana: Luau by the Sea on Oct. 1-3, the region’s impeccable weather enhancing the good vibes. As if influenced by some mystic Tiki gods, the region’s hot, humid and rainy weather eased for the weekend, giving the event’s visitors the perfect backdrop for their festive fun. Early arrivals gathered Wednesday night for happy hour at The Mai-Kai, the beloved Polynesian restaurant that was recently named to the National Register of Historic Places. On Thursday, registration started as guests checked into the Sheraton Fort Lauderdale Airport hotel. The kick-off party was hosted by the nearby Kreepy Tiki Lounge (see Tiki bar of the week below), featuring a carnival sideshow theme along with special cocktails from sponsor Pusser’s Rum and live music from South Florida’s The Zoo Peculiar and Jangle Leg. On Friday, registration started early as guests arrived to pick up their swag bags, mugs and other merchandise. The limited edition event mug was crafted by PopTiki of Colorado. Things escalated quickly at noon, when organizers of the Miami Rum Festival hosted a “rumposium” and tasting challenge. Guests sampled five different rums in a blind tasting and were challenged to name them. But Ohana cannot live on rum alone, so there were other activities throughout the day, including a poolside carving demonstration by Deland’s DeTiki and ukulele lessons from Tony Baloney. A seminar, “Exploring Mid-Century Nautical Tiki,” was presented by FOM member and Tiki historian Mike Skinner. Souvenir photos were also being offered by Go11 Media. Saturday offered no rest from Friday’s fun, with such daytime poolside activities as Tiki Bingo, the Ohana Marketplace, plus the charity gift shop and silent auction, which raise a large portion of the money for Fraternal Order Of Moai charities. Besides those mentioned above, this year’s sponsors included Cockspur Fine Rum (see Rum of the Week below), Brinley Gold Shipwreck Rum, Rhum Clement, Richland Rum, Tiki Club Rum, Cherry Heering, Orgeat Works, Re’al Ingredients, Barritt’s Ginger Beer, Royer Corp., Frankie’s Tiki Room, Tiki Magazine & More, Tortuga Tile Works, Fashiontramp Fashions, and Cats Like Us. The event reached its climax with the Saturday night Ohana Luau dinner and show. The eclectic entertainment included exotica tunes from Tampa’s Stolen Idols, a Taiko drumming performance by South Florida’s Roy and Malia Anderson (aka Marina the Fire Eating Mermaid), and sizzling surf tunes from Deerfield Beach’s Skinny Jimmy Stingray and 9th Wave from Connecticut (this week’s Band of the Week). And for those still up for more on Sunday, there was a bonus tour of Fort Lauderdale’s of South Florida Distillers, producers of the award-winning Fwaygo Rum. 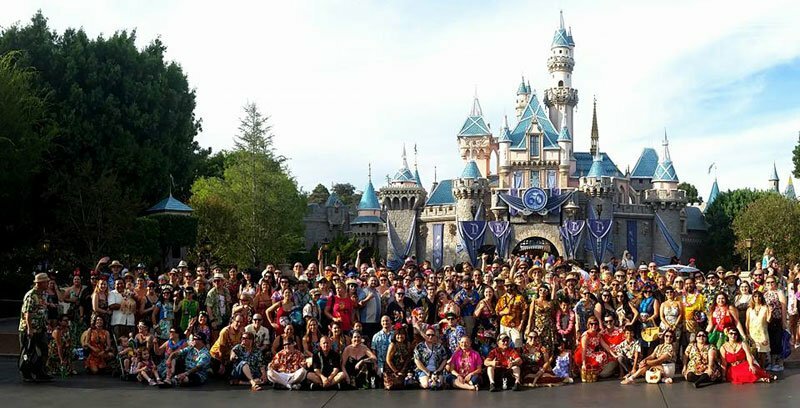 The Fraternal Order Of Moai is a social organization that connects like-minded devotees of Polynesian Pop to a network of events and fellow Tikiphiles across the country. FOM events are typically fund-raisers for local and worldwide causes. Proceeds from Ohana: Luau by the Sea (along with sister event Ohana: Luau at the Lake in upstate New York) benefit the Easter Island Foundation, with the goal of providing scholarships for the citizens of Rapa Nui. 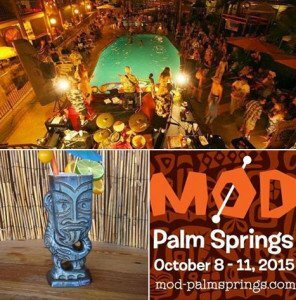 Organizers of the third annual Mod-Palm Springs are counting down to the Oct. 8-11 event at the Caliente Tropics resort. Presented by Shag the Store and Rory “Wildsville Man” Snyder (the man also behind Tiki Caliente), Mod-Palm Springs is a showcase for the mid-century style of Palm Springs and acclaimed artist Shag. Special events include tours of Shag’s desert hideaway and a “Cocktail Climb” with Shag aboard the Palm Springs Aerial Tramway. [Check for tickets and availability] In addition to live music (Martini Kings, Jimmy Psycho Experiment, Marty Lush and Brassiere ’66, Tiki Tronic, Fono 66, The Outta Sites, The Do-Its), the event is known for its festive room parties hosted by SoCal scensters including Zen Tiki Lounge and Bootlegger Tiki. Shag also designed the official event 2015 mug, which is being produced by Eekum Bookum (see Artist of the Week below)..
Thousands of rum enthusiasts from around the world will gather Oct. 17-18 in London for the ninth annual UK RumFest. Some 400 different rums will be showcased at the ILEC Conference Centre in Earl’s Court for spirits professionals and novices alike. In addition to tastings, RumFest will feature seminars, classes and workshops by some of the top professionals in their respective fields. Also on tap will be live on-stage demos showcasing rum pairings, cooking demos, cocktail competitions and more. 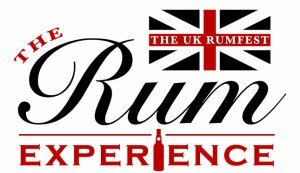 RumFest will coincide with the first Rum Experience Week (Oct. 12-18), featuring additional rum-focussed events all over London that bring together bars, chefs, distillers, brands and rum lovers. Considered the world’s premiere rum festival, UK RumFest is organized by noted rum expert and “ambassador” Ian Burrell. Last year, RumFest hosted the world’s largest rum tasting, which earned it a spot in the Guinness Book of World Records. The Tonga Room in San Francisco turned 70 on Sept. 23 with a “Tiki Chic” party that packed the world’s longest-running Tiki bar and restaurant. The Tonga Room opened in 1945, just a month after VJ Day, in the basement of the historic Fairmont hotel. From the very beginning, the hotel’s former pool was the centerpiece of the restaurant with its hourly rainstorms and floating barge for performers. It did not get its full-blown Tiki decor until 1967, however. In recent years, the Tonga Room survived a potential sale of the hotel and now looks better than it has in years after a $1 million renovation. Thee Hot Rod Luau was a success in its first year out of the gate on Sept 26 at Don the Beachcomber in Huntington Beach. The an all-day festival, organized by Spike Marble of The Hula Girls, included live bands (Agent Orange, The Hula Girls, The Rayford Bros., Pat James and the No Names, Buddy Lee and the Dungaree Dogs, Outerwave, The Mai Tais), DJs, a car show, a pinup contest, artists and vendors, plus more. Spike and The Hula Girls will be back at Don the Beachcomber on Oct. 30 for their second annual Curse of the Tiki exotic variety show, with guests the Jimmy Psycho Experiment, burlesque and sideshow performers, plus more. 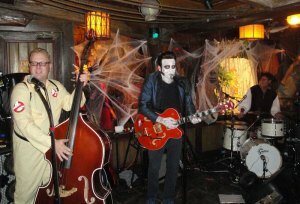 Also at the venerable restaurant, don’t miss the next next International Tiki Market Place on Saturday, Oct. 10. Disneyland was was the place for fashionable retrophiles to be in September, with both the Dapper Day events (Sept. 18-19) and Tiki Day (Sept. 27) drawing enthusiastic turnouts. The biannual Dapper Day, which dates back to 2011, keeps getting bigger and bigger. The Dapper Day Expo included the Fall Soirée in Disneyland, a car show, and a retro slideshow by Charles Phoenix. “In the future, I hope every day is Dapper Day,” Phoenix told the crowd. 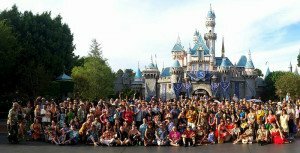 “And they’ll have one day that’s schlub day.” Disney claims more than 20,000 people attend the event, and organizer Justin Jorgensen told LAist that Dapper Days keep getting bigger. To avoid the heat, next year’s fall Dapper Day will move to November, while the spring event will move to late May. The smaller but no less passionate attendees of Tiki Day gathered in the park in their Polynesian finest for meet-ups, group rides (including a jam-packed Enchanted Tiki Room) and photos, plus a meet-and-greet at Trader Sam’s Enchanted Tiki Bar. More than 130 rums were showcased in 30 exhibits at the fifth annual Rome Rumfest on Sept. 26-28. The first two days were open to the public while the third was for trade professionals. The event drew large crowds of rum enthusiasts and spirits professionals who also came for a variety of classes and special events. There were 20 winners announced in the international ShowRum Tasting Competition, judged by a panel of rum experts from around the world. Jamaica’s Appleton took home three awards, while Abuelo (Panama), Pitú (Brazil), and Trois Rivieres (Martinique) each won two. 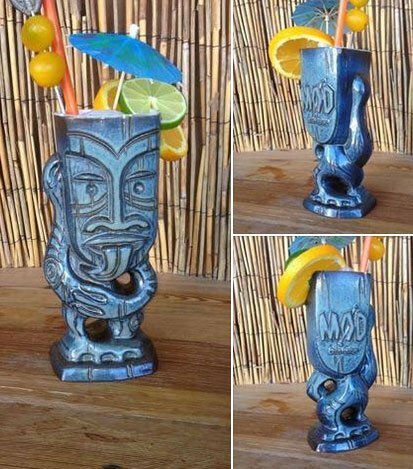 The 2015 Tiki Oasis mug, created by Eekum Bookum. Don’t miss John Mulder and Eekum Bookum handled the sculpting, painting and manufacturing of the Shag-designed official event mug for Mod Palm Springs, set for Oct. 8-11 in Palm Springs, Calif. The limited edition of 150 mugs will be available only at the event. A fixutre in the Northeast surf scene and at Fraternal Order Of Moai events, Connecticut’s 9th Wave has been churning out an eclectic mash-up of surf, exotica and hot-rod music since 1995. The band has released six full-ength albums (Victory at Sunset in 2011 is the latest) and performed across the East Coast, from New York City and Boston to Georgia and Florida. 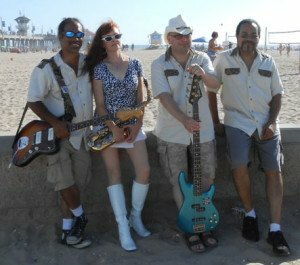 The foursome includes the usual guitar, bass and drums, plus the unique contributions of Sandy “Oceana” Rosado (flute, piccolo, organ, alto saxophone, and rhythm guitar). She and husband Mike “Staccato” Rosado (lead guitar) are the founders and directors of the North East Surf Music Alliance, a network of surf bands across the area. Catch 9th Wave: The official band of Ohana made its first South Florida appearance at the newest Fraternal Order Of Moai event, Ohana: Luau by the Sea, on Oct. 3, at the Sheraton Fort Lauderdale Airport hotel. (see recap above). The band will also be performing at Unsteady Freddie’s Surf Rock Shindig at Otto’s Shrunken Head in New York City on Nov. 7. The Beachbum Berry Collection from Cocktail Kingdom. 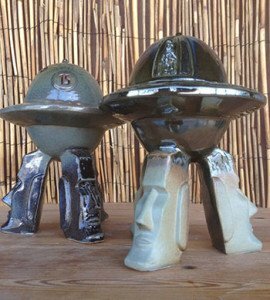 One of the world’s premiere suppliers of premium barware to both consumers and professionals, Cocktail Kingdom endeared itself to Tikiphiles when it joined forces with tropical drink historian Jeff “Beachbum” Berry for an ongoing series of distinctive products. 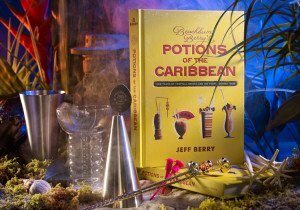 Essential items include the Swizzle Cup, Pearl Diver Glass, Navy Grog Cone Kit, and Skull Bar Spoon, not to mention Berry’s monumental sixth book, Potions of the Caribbean: 500 Years of Tropical Drinks and the People Behind Them. If you poke around the Cocktail Kingdom site, you’ll find all manner of cool products, from an authentic swizzle stick to Japanese jiggers to a Lewis ice bag and mallet. There’s also a wonderful collection of books, reflecting owner Greg Boehm’s family business (publishing). If you’re in New York City, check out the Cocktail Kingdom showroom at 36 W. 25th St.
Don’t miss: Cocktail Kingdom is sponsoring The Art of Tiki: A Cocktail Showdown, hosted by Emeril Lagasse, at the New York City Wine & Food Festival on Oct. 17. Also known as Cockspur Five Star, this traditional gold rum is the flagship brand from the venerable Barbados distillery established in 1884. 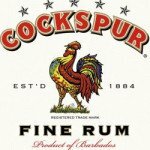 Of course, Barbados is considered the birthplace of rum (circa 1600s), and Cockspur proudly upholds this legacy. This is a proto 80-proof, molasses-based mixing rum, slightly aged in American Oak barrels. It features both column still and pot still rums, but don’t expect a complex sipping rum. It works best in cocktails, where the sweet and spicy notes can play off other flavors, especially fruit. Pulse blend (in a top-down mixer if available) for 5-7 seconds. Serve in a hollowed-out young coconut or specialty glass with more crushed ice. 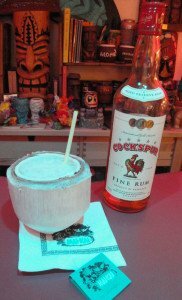 Creamy, spicy, sweet and exotic, the Moonkist Coconut is a quintessential Mai-Kai cocktail. The rum, bitters and falernum shine through the creamy coconut to provide a distinctive flavor kick. The recipe calls for gold Barbados rum, and Cockspur Five Star works very well. * Oct. 17 – The Art of Tiki: A Cocktail Showdown at the New York City Wine & Food Festival. * Oct. 3-4 – German Rum Festival, Berlin. * Oct. 17-18 – UK RumFest, London. 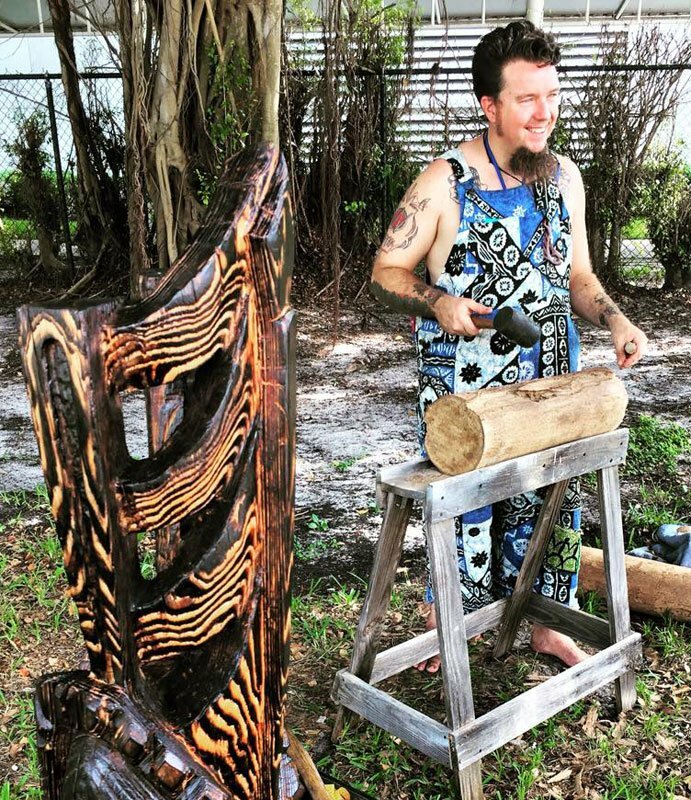 This entry was posted in 2016, Art, Cocktails, Cocktails, Culture, Events, Events, Events, Events, Events, History, Hukilau, Mai-Kai, Music, Other Florida, Recipes, Restaurants, Rum, Rum festivals, South Florida, The Week in Tiki, Tiki mugs and tagged 9th Wave, Appleton, Barbados rum, Beachbum Berry, Cockspur, Cocktail Kingdom, coconut, Curse of the Tiki, Dapper Day, DeTiki, Disneyland, Eekum Bookum, Fraternal Order Of Moai, Hukilau, Hulaween, Huntington Beach Don the Beachcomber, Kreepy Tiki, Mahaloween, Mai-Kai, Miami Rum Renaissance Festival, Mod-Palm Springs, Moonkist Coconut, Ohana: Luau by the Sea, Pier 66, Potions of the Caribbean, Rome Rumfest, Shag, Slip and the Spinouts, Smith & Cross, The Hula Girls, The Pizz, Thee Hot Rod Luau, TIki Day, Tiki Kiliki, Tiki Oasis, Tiki Tower Takeover, Tonga Room, Trader Sam's, UK RumFest. Bookmark the permalink.